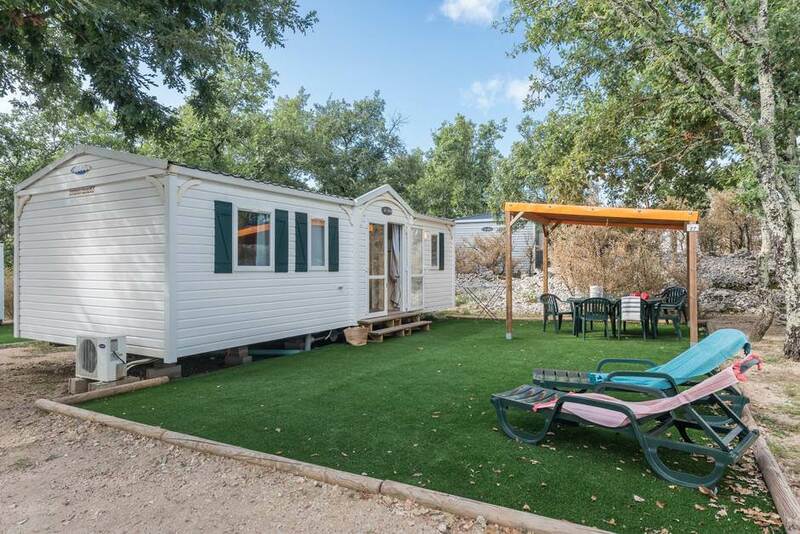 The Cottage Confort 6/8 places is one of the most spacious Mobil-homes placed at your disposal within our campsite in Ardèche. It is suitable for large families, tribes and groups of friends. It has an area of 34 m2 and offers a large living space. Space lovers will be delighted to stay! This holiday apartment includes 3 bedrooms, a dining area, a kitchenette, a bathroom and a separate WC. 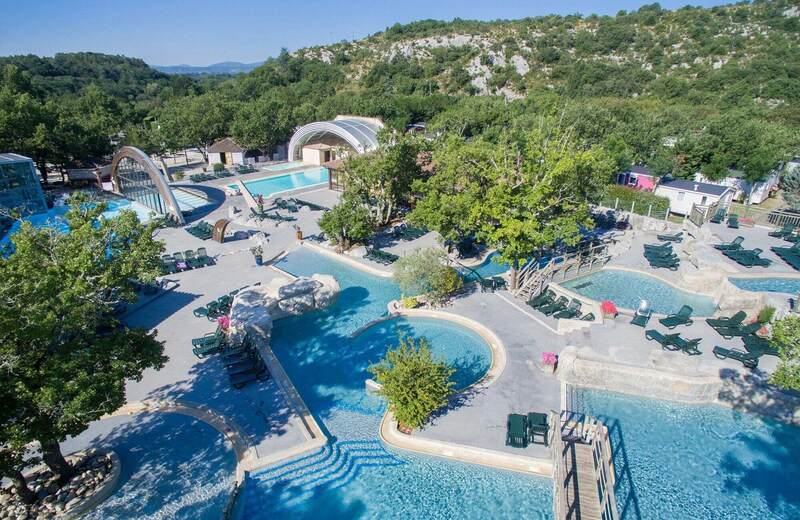 It is also equipped with a large covered terrace, ideal for sharing moments of happiness in the midst of nature, in front of the marvellous Ardèche landscapes. 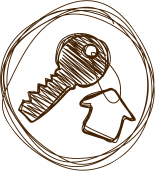 By renting this accommodation, you will feel comfortable and as at home from the moment when the number of tenants does not exceed 8 persons. The sleeps in this large comfort Cottage are divided as follows: a double bed in the master bedroom, two single beds in each of the other two bedrooms, two extra sleeps in the living room thanks to the convertible seating. The duvets and pillows are provided with the comfort option, everything is thought so that you can spend pleasant moments under the same roof. The kitchen is perfectly equipped and you can concoct homemade dishes to save throughout your holiday. You can pick up your breads and pastries at the grocery store every morning and also shop at our stores. Fresh produce, local products, essential products, presses... you will find everything you need on the spot. This rental also has its own bathroom with shower and washbasin, separate WC, heating, air conditioning and a safe. So you can enjoy the Ardèche in the summer with good indoor air conditioning and a nice large terrace outside.